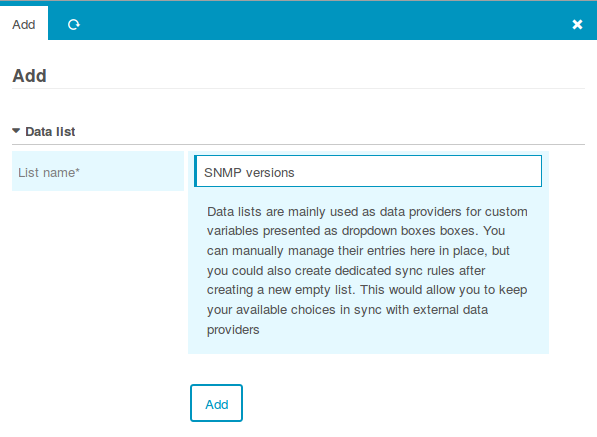 Ever wondered how to provide an easy to use SNMP configuration to your users? That’s what we’re going to show in this example. 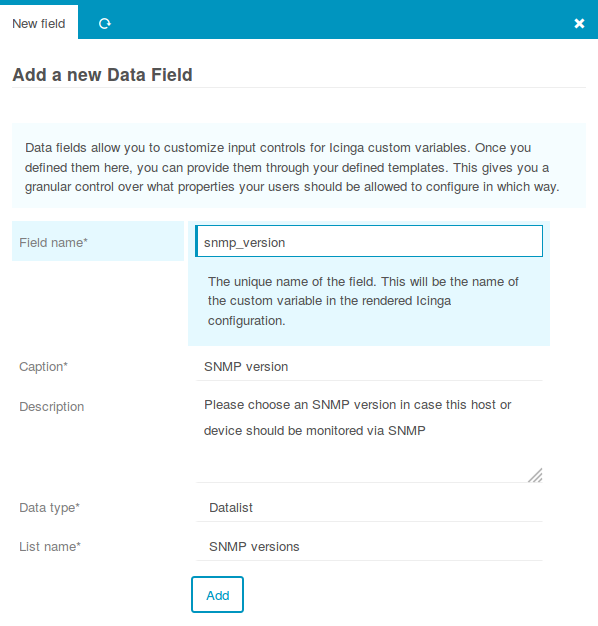 Once completed, all your Hosts inheriting a specific (or your “default”) Host Template will provide an optional SNMP version field. In case you choose no version, nothing special will happen. 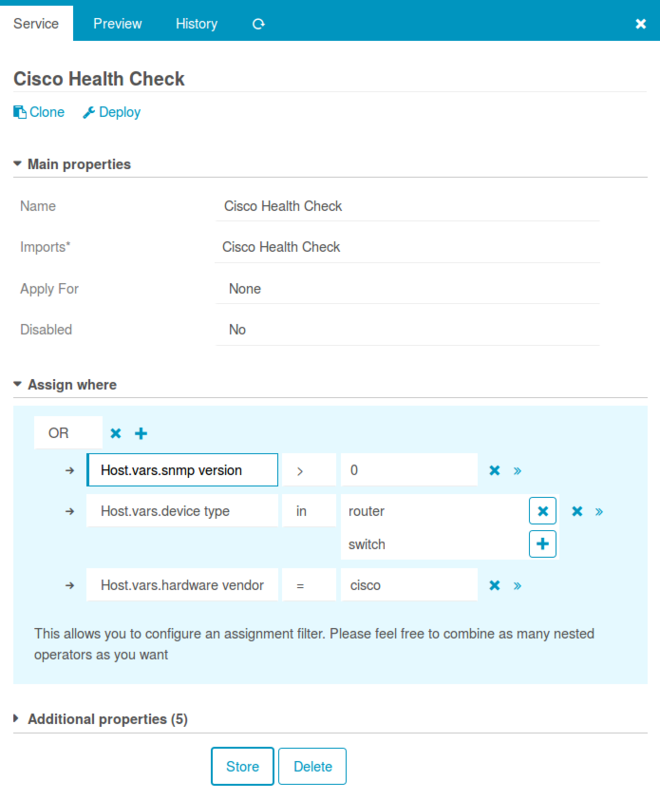 Otherwise, the host offers additional fields depending on the chosen version. 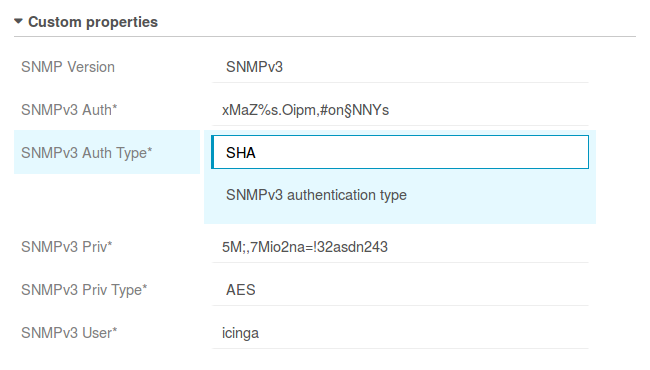 Community String for SNMPv1 and SNMPv2c, and five other fields ranging from Authentication User to Auth and Priv types and keys for SNMPv3. Your services should now be applied not only based on various Host properties like Device Type, Application, Customer or similar - but also based on the fact whether credentials have been given or not. Please do not forget to add meaningful descriptions, telling your users about in-house best practices. 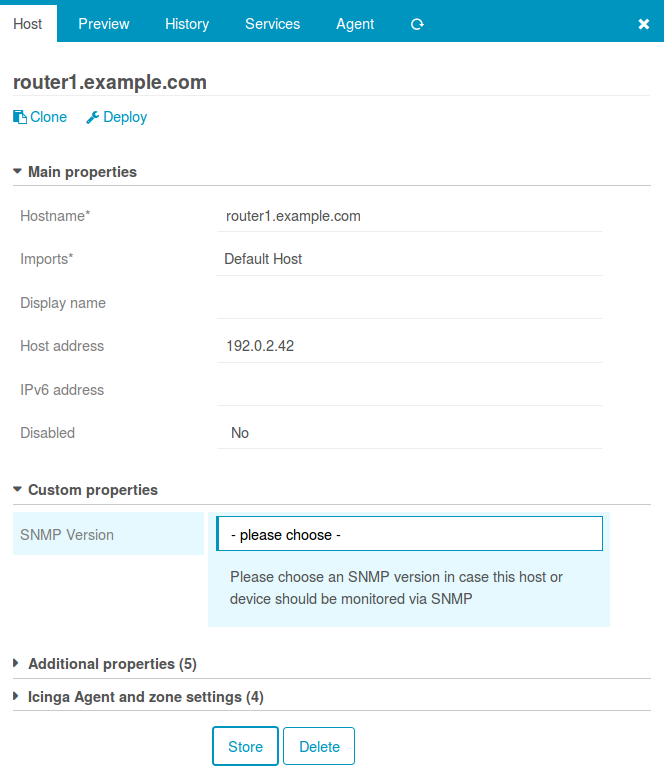 I’m using my default Host Template for this, but one might also choose to provide SNMP version on Network Devices. Should Network Device be a template? Or just an option in a Device Type field? You see, the possibilities are endless here. 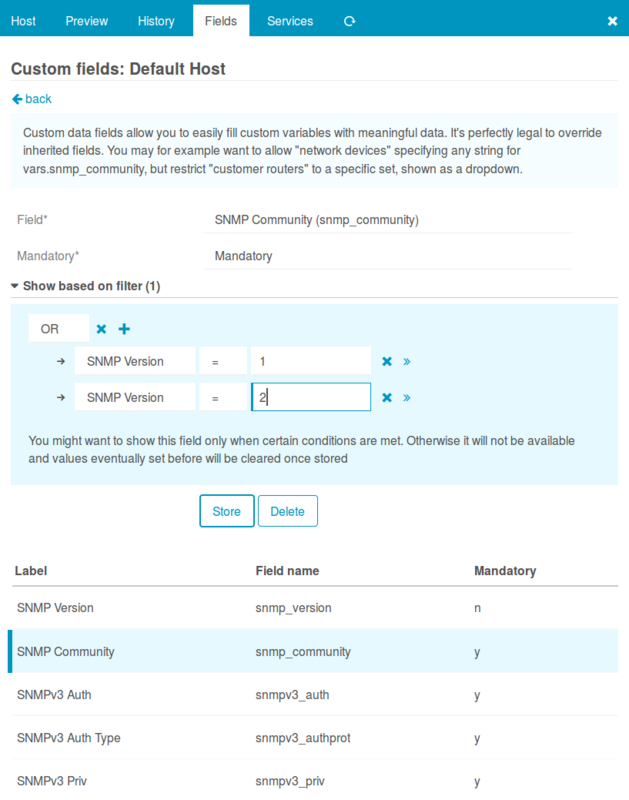 While I kept SNMP Version optional, all other fields are mandatory. Once stored please check the rendered configuration. 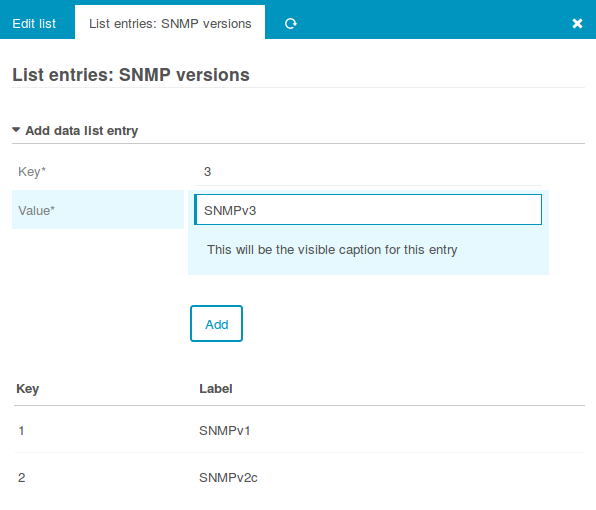 Switch the SNMP versions forth and back, and you should see that filtered fields will also remove the corresponding values from the object. You should design your Commands to use that set of properties. Change the example slightly to fit ITL Commands in case you’re using those (snmpv3_*_type VS _alg).